Hands up if you think telling the time is tricky. Well – it’s time to think again. This novelty book makes it really simple. 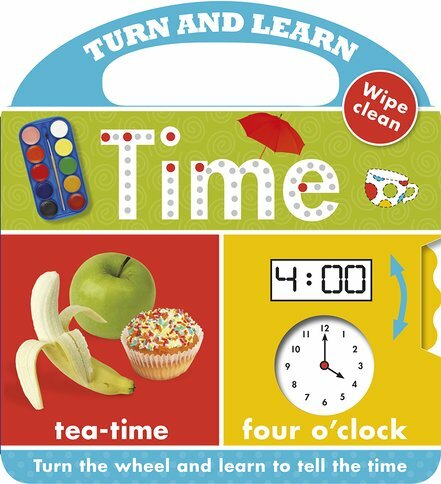 Turn the clock hands, wipe the book clean and learn to read two kinds of clock. Have fun turning the wheel to make the clock hands move. Or solve easy puzzles and wipe your answers clean. Bright photos show you words and activities for each time of day. Learn how to read a standard clock and a digital one.